Last week JCU Professor Silvia Scarpa participated to the Academic Council of the United Nations System (ACUNS) Annual Meeting on “Human Rights, Migration and Global Governance” that was held at LUISS Guido Carli University of Rome. When JCU alumna Elena Ravano Calheiros’ twin daughters Leonor and Beatriz were born with a rare genetic disease, she and her husband knew from the start that they would do anything possible to find a cure. 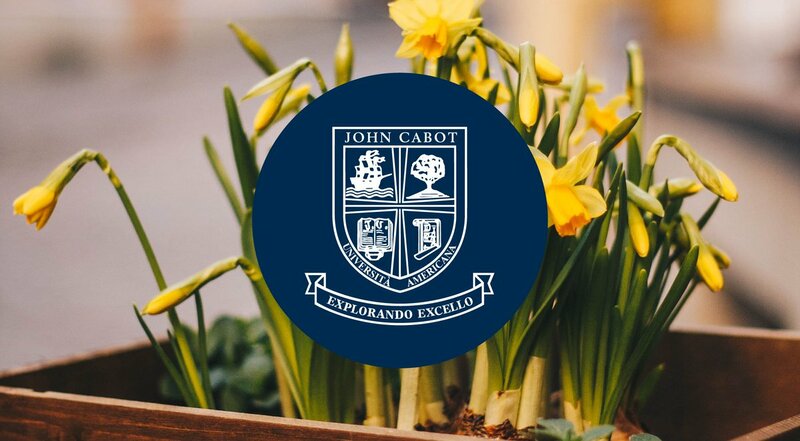 John Cabot University and the United Nations Interregional Crime and Justice Research Institute (UNICRI) are pleased to announce the sixth edition of the Summer School on Migration and Human Rights. According to Luca Desiata, author of Chess and Corporate Strategy, knowing how to play chess is an essential skill for managers because it improves strategic thinking and decision-making skills, especially in times of crisis. The renowned US academic publishers Rowman & Littlefield released the fourth edition of the textbook "Central and Eastern Europe - from Communism to Democracy," with a chapter by Professor Federigo Argentieri. JCU President Franco Pavoncello recently participated in TRT World's the Roundtable, dedicated to Italian populism in the wake of the March 4th elections. In the aftermath of the stunning results of Malaysia's 14th General Elections on May 9, JCU Associate Professor of Political Science and Malaysia expert Bridget Welsh is one of the lead commentators in international media. Born and raised in Rome, Marina Traylor (class of 2019) is an English Literature major and International Affairs minor. Currently, she is the president of the Women’s Leadership Initiative. As Malaysia prepares for its contentious 14th General Elections, Malaysia expert and John Cabot Associate Professor of Political Science Bridget Welsh, discusses the country's electoral playing field. Professor Bridget Welsh was invited to discuss the current Southeast Asian political environment at the 21st Credit Suisse Asian Investment Conference. John Cabot University’s Department of Political Science and International Affairs and the Department of History and Humanities welcomed Jane Yarbrough – Gary M. Pendy Sr. Professor of Social Sciences Bowdoin College with a lecture “Alexis de Tocqueville on the Needs of the Soul” on March 15th.